Orlando, FL – January 19th, 2018 – Multicom is proud to announce our new line of cost-effective KU and C-Band satellite dish antennas. These dishes are made of high strength powder-coated galvanized steel which is corrosion resistant, giving them unparalleled UV and wind load protection. Including a flexible easy-to-install universal wall/roof/pad mount, this new line of satellite dishes offers installation flexibility and simple assembly. Coming in 7 different sizes, consisting of 60CM, 75 CM, 90CM, 1M, 1.2M, 1.8M, and 2.4M. 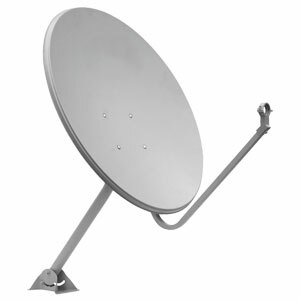 Uniquely designed for maximum elevation flexibility, these dishes provide strong and clear reception, minimal rain fade, and improved signal strength from equatorial to polar latitudes.